The Scoring Platform team builds and maintains machine learning technologies to empower millions of users - readers, contributors, and donors - who contribute to Wikipedia and its sister projects on a daily basis. We address process inefficiencies with machine learning technologies, we design and test new technology, we produce empirical insights, and we publish and present research of the intersection of technology and culture. We are strongly committed to principles of transparency, privacy and collaboration. We use free and open source technology and we collaborate with researchers in the industry and academia. As a Senior Software Engineer of the Scoring Platform team, you will help us build and scale our machine prediction service, train new machine learning models, and implement other data-intensive applications. You’ll travel to conferences to interact with researchers and volunteer contributors to Wikimedia Projects. You’ll translate abstractions from current research and volunteers needs into concrete technologies and we’ll learn about the impacts of those technologies together. Work in coordination with volunteer developers, editors, and researchers to understand their needs. Understanding or willingness to learn basic statistics, machine learning, and/or data analysis techniques. Familiarity with scientific computing libraries in Python or R.
…the nonprofit organization that hosts and operates Wikipedia and the other Wikimedia free knowledge projects. Our vision is a world in which every single human can freely share in the sum of all knowledge. We believe that everyone has the potential to contribute something to our shared knowledge, and that everyone should be able to access that knowledge, free of interference. We host the Wikimedia projects, build software experiences for reading, contributing, and sharing Wikimedia content, support the volunteer communities and partners who make Wikimedia possible, and advocate for policies that enable Wikimedia and free knowledge to thrive. 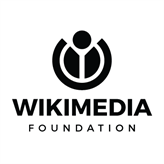 The Wikimedia Foundation is a charitable, not-for-profit organization that relies on donations. We receive financial support from millions of individuals around the world, with an average donation of about $15. We also receive donations through institutional grants and gifts. The Wikimedia Foundation is a United States 501©(3) tax-exempt organization with offices in San Francisco, California, USA.